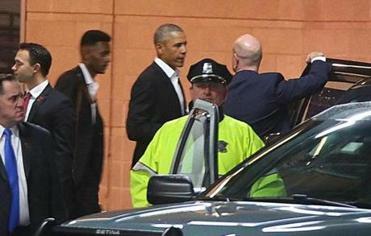 Those who attended an MIT conference in Boston last week had to adhere to something of a “Fight Club” edict: The first rule of seeing Barack Obama is don’t talk about seeing Barack Obama. Looks like that rule has been broken. 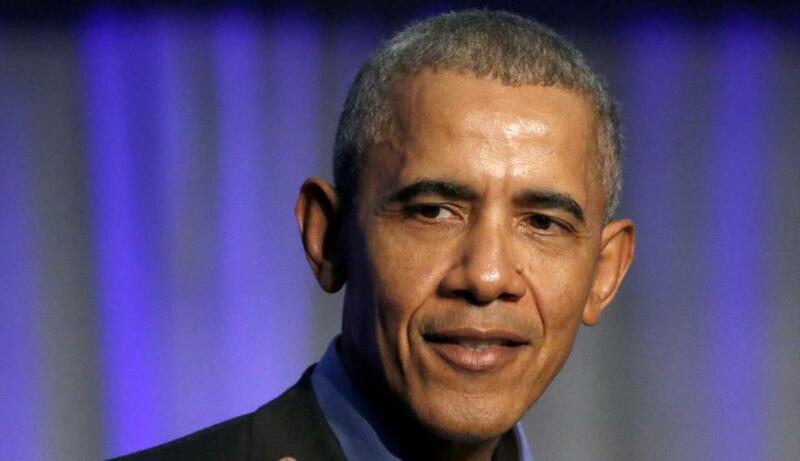 The former president was touted as a speaker at the MIT Sloan Sports Analytics Conference, which took place Friday at the Boston Convention and Exhibition Center and drew some 3,500 attendees. But in an unusual move, event organizers prohibited anyone from posting anything — photos, video, even quotes or basic information — from Obama’s speech. Anyone who violated the rule would be removed from the conference and denied future tickets, organizers warned. But on Monday evening, the libertarian magazine Reason released the full audio from the question-and-answer session Obama had with event organizers Daryl Morey, the general manager of the Houston Rockets, and Jessica Gelman, CEO of Kraft Analytics. There were some strict rules in place during the former president’s appearance at a sports analytics conference today. Here are some highlights from the hour-long session. • He joked that he was only at the conference so he could visit his daughter. Opening up the conversation, Obama noted that his daughter Malia was attending Harvard: “Let’s face it, that’s the main reason I came,” he joked, to some laughter — and groans — from the audience. • He spoke about the importance of diversity in decision-making. Obama spoke at length about having a range of opinions and diverse voices in his administration, pointing out that he retained holdovers from the Bush administration so he could remain informed on different ways of thinking about the war in Iraq. “I wanted to make sure his voice was there to counteract the potential biases or the lens through which I might look at a reformed policy,” Obama said. • He got in a few jabs at President Trump. Although many of his answers had an even-keeled tone, Obama still managed a few knocks on Trump and his administration. He also said that while his administration had made mistakes, it had avoided major scandals. “I know it seems like a low bar,” he said to laughter and applause. “I did have a strong bias toward people who just wanted to get things right, get things done, as opposed to people obsessed with, ‘I want to be right, I want to be prominent, I want to have my name in the headlines,’ ” he said. And in the age of Kellyanne Conway’s “alternative facts,” Obama lamented that some people are not just divided over opinions, but over what constitutes authentic evidence. • He gave Robert Kraft a shout-out. As Obama spoke about the polarization of the nation, he mentioned Robert Kraft, owner of the New England Patriots. • He thinks he could have made a Division 1 basketball team. Obama noted that he had potential as a basketball player in high school, and believes he could have played in college — at least as a bench player — if things had been different. “If I had been really focused, dedicated, and obsessed, I probably could have been a benchwarmer on a mediocre Division I [college] team, like a walk-on kind of guy,” he said. • He recalled playing a pick-up game with a famous singer — who was absolutely terrible at basketball. Talking about the importance of being self-aware, Obama told a story about how he played a pick-up game with a “well-known singer” who thought he was a king at basketball — except that, well, he wasn’t. • He had at least one criticism of the NBA. • He said life in the public sector was far more intense than life in the private sector. • He thinks social media platforms have a higher calling than just making money. • He spoke about equal pay for women. Obama said he thought the real catalyst for change on equal pay for women would come in the form of Congressional legislation. But he doubted that would happen in the current political climate. In the meantime, he emphasized the importance of paying someone based on merit, not looks or gender, to an audience that included managers, bosses, and potential future executives. “Let me speak to men in the audience: ‘You should be smacked across the head if you think women should be paid less,’ ” he said. • He had a tactic to make sure women’s voices were heard in meetings. Obama told an anecdote about how during his time in office, he had a call-on policy to allow everyone to share their opinion.